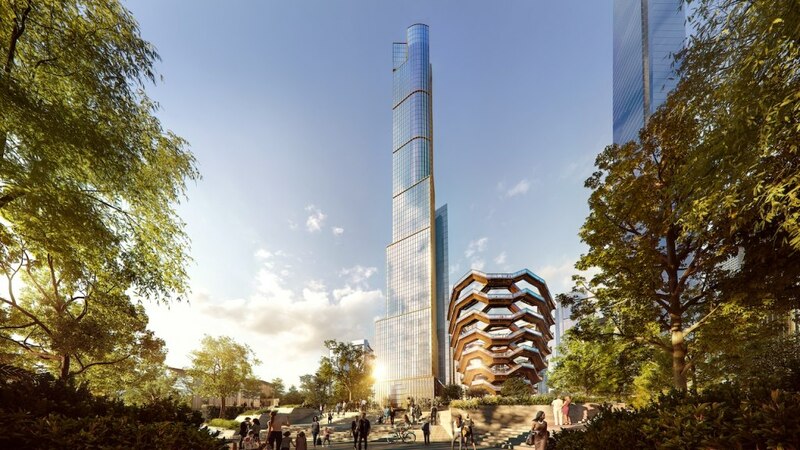 Standing more than 1,000 feet in the air is a glass and limestone tower, dubbed 35 Hudson Yards, which has become the tallest residential building in the Hudson Yards neighborhood. 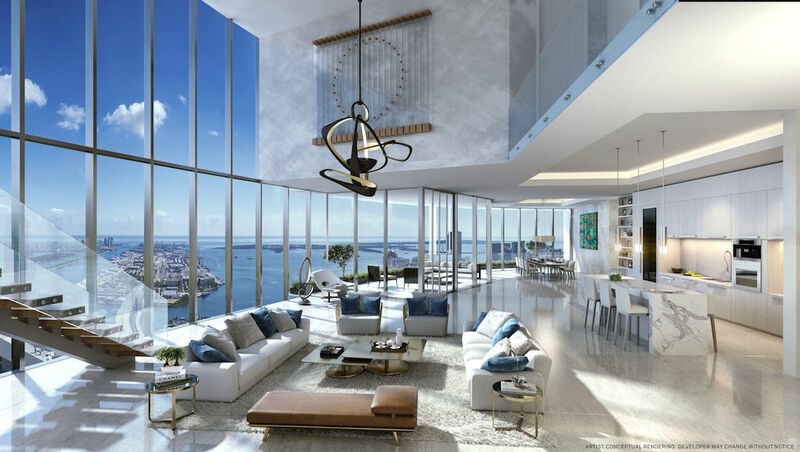 Featuring architecture by David Child’s and Skidmore, Owings, and Merrill; interiors by designer Tony Ingrao; and an array of elevated in-building lifestyle services provided by the world’s first Equinox Hotel, this luxury building is the beginning of a new way to vertical living. 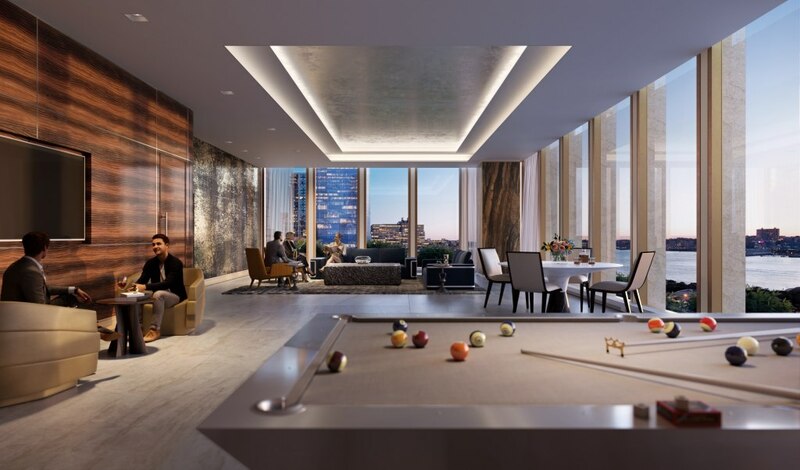 Starting from the 53rd floor, there are 143 two to six-bedroom condominiums, each with their own panoramic views of the Hudson River, Manhattan skyline and Hudson Yards Public Square and Gardens, as well as the centerpiece; Vessel. 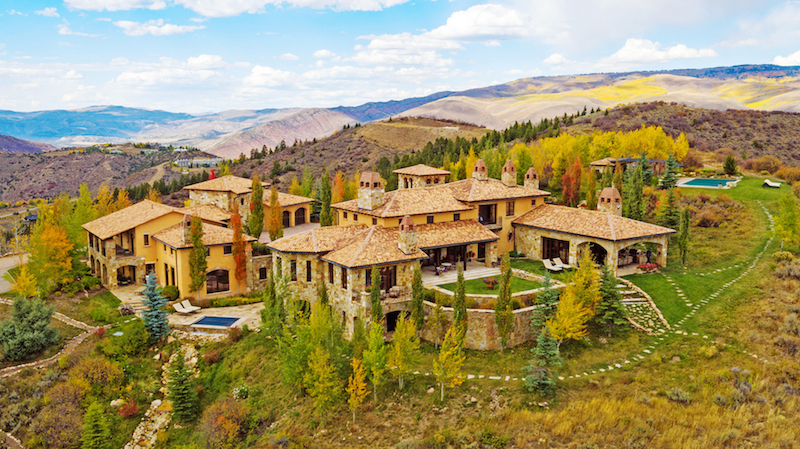 Designed on a grand scale homes range in size from 1,500 square feet to 10,000 square feet. Residents and guests are greeted by gracious entry foyers and galleries built to accommodate substantial works of art, as well as rooms with ceilings that soar to nearly eleven feet high. Living areas have large expanses of glass, offset by mullion detailing. Master suites are lavish with walk-in closets, and each bedroom has an en-suite bathroom. 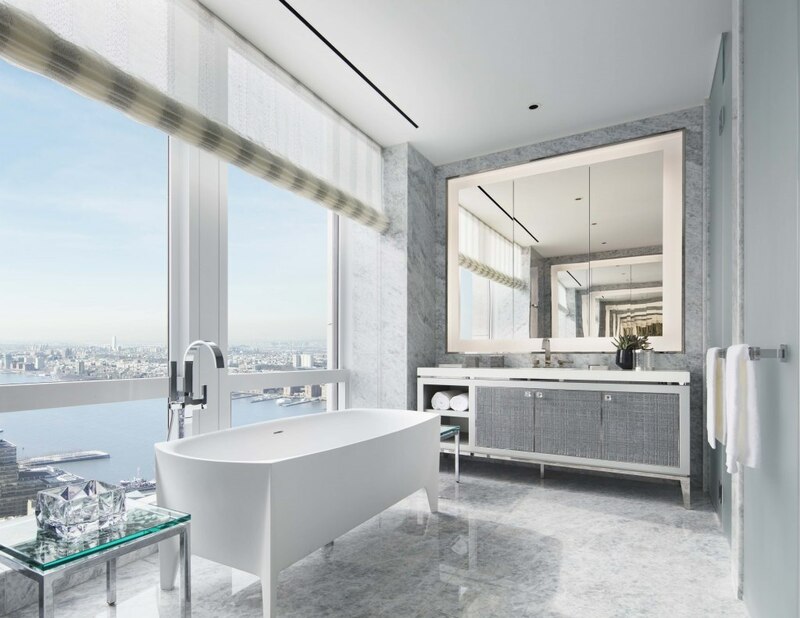 Master bathrooms feature hand selected slabs of polished Iceberg Quartzite, freestanding bathtubs and some are with oversized windows with views of the Hudson River. 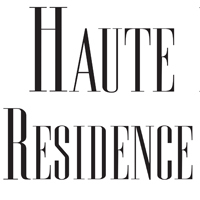 Kitchens feature Gaggenau appliances and opal white marble counters that add a fresh, luxurious element. Smoked oak flooring contrasts with the high gloss stained and lacquered Eucalyptus wood with American Black Walnut core cabinetry, while tall walnut doors open to adjacent breakfast, dining and family rooms. As far as amenities go, 35 Hudson Yards has just about them all. Residents will receive a comprehensive fitness experience by Equinox and SoulCycle, which includes membership to the Equinox Club, indoor and outdoor swimming pools, a large sundeck with an outdoor cabana and lounge area, as well as access to the hotel’s 24th floor Sky Lobby. Residents will also have access to exclusive in-home services by the world’s very first Equinox Hotel and a dedicated Director of Residences who will liaise with the hotel to handle in-residence dining, valet, laundry services, private car and ground transportation, and bookings. 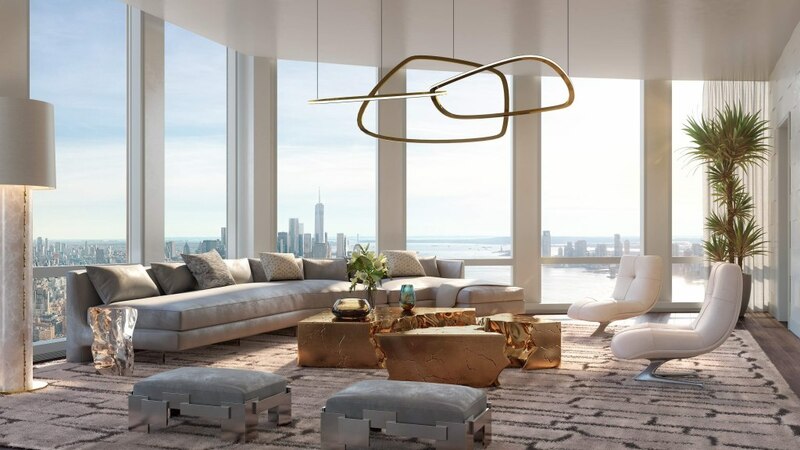 The residences at 35 Hudson Yards will be priced from $5 million with Related Sales and Corcoran Sunshine Marketing Group agents handling exclusive sales and marketing.